The congealed mass of fat, oil, wet wipes and other rubbish was discovered in the sewers of Sidmouth late last year. It is estimated it could take eight weeks to remove, the lengthy process being undertaken by skilled drainage engineers, such as ours at Metro Rod Bedford and Milton Keynes. 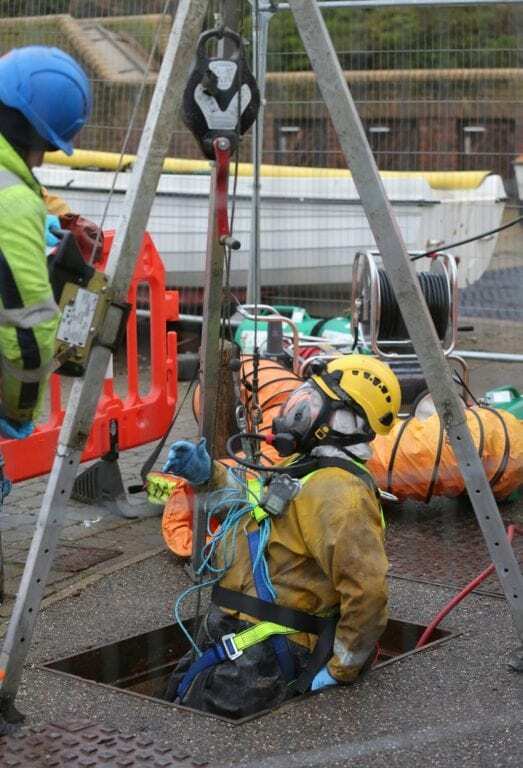 The process started yesterday when engineers entered the sewer and began to break the huge fatberg down, which needs to be done before the mass of fat and wet wipes can be sucked up to the surface and disposed of safely. The whole article can be read by clicking here. They are using methods involving pick axes and high pressure water jetting (HPWJ) – an environmentally friendly process that we use every day here at Metro Rod Bedford and Milton Keynes. Fatbergs and smaller blockages can be avoided by remembering what you can and can not put down your toilet. The ONLY things you should ever flush can be remembered using the 3Ps rule… Poo, Paper and Pee! For further information regarding what it is safe to flush – please do not hesitate to give us a call at Metro Rod Bedford and Milton Keynes on 01582 666543 for a friendly chat.